Meditation, Karma, Zen, Tantric, Nirvana - these are some of the many Buddhist ideas that have entered our Western popular idiom, usually inappropriately. What is the truth of Buddhism, its history and variety of practices? This vast and complex non-theistic religion is woven into the fabric of Asian civilizations from India to the Himalayan regions, China, Vietnam, Korea, Japan and elsewhere. Introducing Buddha describes the life and teachings of the Buddha. Author Jane Hope, who has herself taught Buddhism extensively, also shows that enlightenment is a matter of experiencing the truth individually and by inspiration which is passed from the teacher to the student. The book illuminates this process through a rich legacy of stories and explains the practices of meditation, Taoism and Zen. It goes on to describe the role of buddhism in modern Asia and its growing influence on Western thought. Introducing Eastern Philosophy provides an interesting companion-piece. This was my third book in the Icon Beginners series. 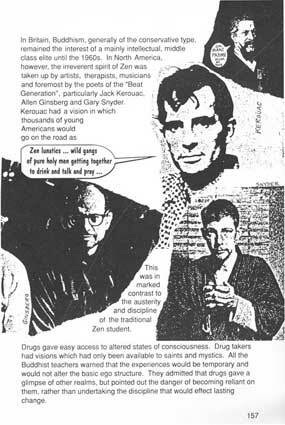 After 'Darwin' had formed one of the four relaunched titles in 1992, followed by Steve Jones' 'Genetics', Buddha gave me a chance to attend to the more spiritual side. My main approach to drawing Buddha was to make him a cypher, an everyman. 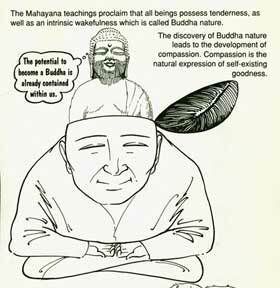 There are many Buddhas and his earthly existence is a constantly reworked myth, so he should be largely faceless as a comic book character. In this way he walked through all his early, life-changing experiences enabling us to impose our own interpretations on his actions and impulses. The initial letter of each heading in this book is represented by the appropriate engraved 'deaf and dumb' hand signal to echo the significant gestures of some Buddhist monks. Stumbling into the Buddha in Brooklyn. I have always found it interesting when books seem to randomly, perhaps auspiciously, find their way into my life. I find it particularly interesting when these books are dharma books. I am sure many of you out there have experienced this as well, but occasionally it is as if we do not find certain teachings, but they find us. 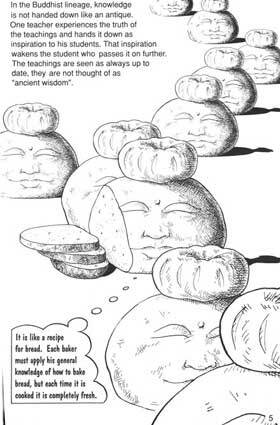 Thank You for wonderfull illustrations to the book about Budda. If you starting from little more than scratch and are just curious about Buddhism as a whole. this book is a great place to start. "We are pre-occupied with the past, which has already happened, and we are pre-occupied about the future, which does not yet exist. We worry about what will happen and we think about various things that make us feel anxious, frustrated, passionate, angry, resentful, afraid. While we are so preoccupied, our awareness of the here-and-now slips by and we hardly notice its passing. We eat without tasting, we look without seeing and live without ever perceiving what is real." A book that gives you a breif idea on buddah's teaching, his life, and development of the the religion. Briefs of the schools of religion that follow the same teaching are also provided. Good overall picture given on the links between the original teaching and the later development of the religion. You can definitely understand more about the relationships between the original teaching and the subsequent development and branches of buddah after reading the book. A simply delightful and simple read. Introducing Buddha is the first of its kind to combine Jane Hope’s brilliant literature perfectly with the simple yet entertaining illustrations of Borin Van Loon. Buddhism is one of the oldest, and least understood religious practices still in existence today. Its sudden spread to the western world has given rise to many books on the subject of meditation and tantric executions. 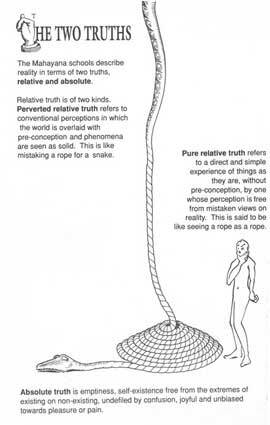 Very few give anywhere near the scope and essential truth of Introducing Buddha. By a description of historical structure and the spread of Buddhism, even beginners to Buddhism can clearly understand complex concepts and ideas that are made difficult by obscure texts and specific reference to little known idioms. This modern original can be read time after time and something new will always be learned. It is exceptionally entertaining, brilliantly written and illustrated. This book is a good and easy to read summary. Of course any summary is bound to be an over-simplification. The illustrations are the weakest point. 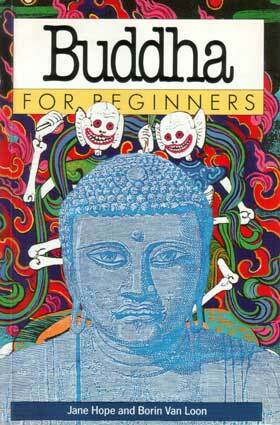 For some reason the illustrator of this book gives the Buddha open eyes, which is atypical. May be he is worried that the usual lidded-eye Buddha will not engage the reader. Also the choice of images are not always apt. An image of the Earth Goddess washing her hair to sweep away Mara, his daughters and his demons thus rescuing the Buddha is shown as if the Earth Goddess is one of the lascivious temptresses.